Sometimes split EPs can be a bit of a damp squib. There’s times when the 2 or 3 tracks by each band don’t give you enough exposure and/or it doesn’t feel complete. Sometimes though they can hit the mark perfectly and you get exposure to a band that you may have otherwise missed. 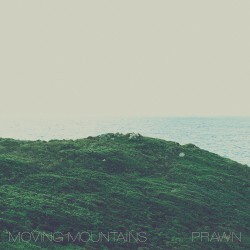 Fortunately the new split EP by Moving Mountains and Prawn falls into the second category. If it wasn’t for this EP we may have missed out on Moving Mountains completely. The band went on hiatus in 2013 and the two tracks here announce their return in real style. Opener ‘Abby Normal’ is a disarmingly beautiful number that lulls you in swooning and relaxing. ‘Deathless’ goes for a similar sound but in a more grandiose way. Clocking in at over 7 minutes its epic and a formidable slab of alt rock with smatterings of folk. Again it lulls you in and Gregory Dunn’s vocal stands out as being particularly strong. The track builds and builds into one of the most beautiful pieces of music committed to record in 2015. The Prawn tracks are equally as good. In fairness we expected quite a lot from Prawn, 2014s Kingfisher was one of the best emotional alt rock albums of the year and cemented their place as one of Alt Dialogue’s favourite bands. ‘Seas’ combines a big rock structure and elements of math rock with some delicate guitars. Opening with some big impassioned vocals and the guitars to match the track develops into a soaring masterpiece that hits you hard. ‘Slopes’ takes it up another notch; simply put this track alone makes the EP worth it. Commanding and forceful, Prawn execute their blend of indie, alt rock and math rock with aplomb. Make your purchase of this EP the first thing you do on the 27th November. Superb at every turn, this is essential listening.